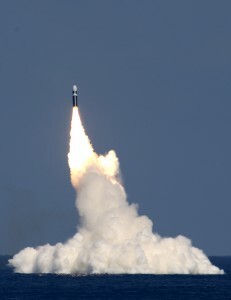 Image: Trident II D5 missile being launched is the primary weapon carried by the US Navy’s Ohio-class submarines. Photo: Lockheed Martin. This entry was posted on Wednesday, March 21st, 2012 at 8:35 am	and is filed under . You can follow any responses to this entry through the RSS 2.0 feed. Both comments and pings are currently closed.